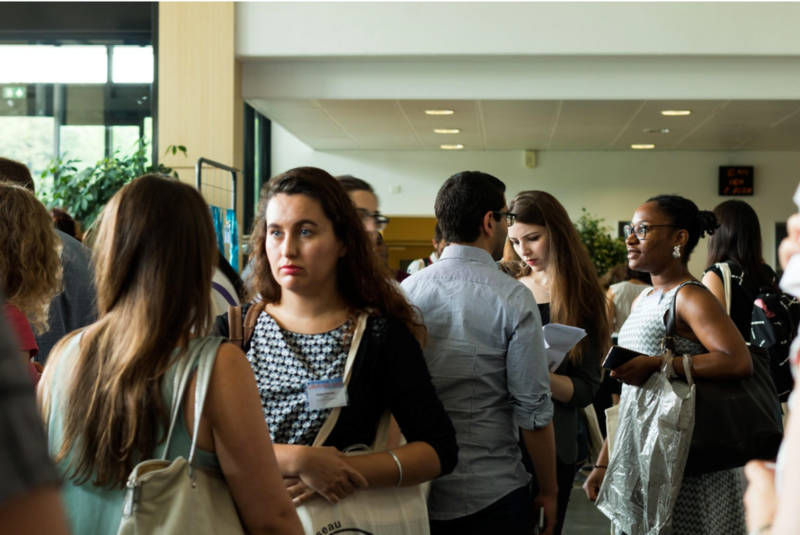 The 1st International BIOTechno Forum that will take place in Strasbourg next November 28th-30th, is organized by two outsanding women Diana Mihaela Dinca and Alexia Vidal. Both of them come from research and are driven by their taste of challenge. Diana Mihaela Dinca is a PhD in neurogenetics in Paris and Alexia Vidal is a PhD candidate in epigenetics in Illkirch, France. Today, they tell us more about this event and give us their own experience as leaders. We hear more and more about the International BIOTechno Forum, can you tell us more about it? Alexia : It is a BIOTechno Forum, even bigger, that targets an international audience. It will provide high impact conferences, interactive roundtables, career dedicated workshops and many networking opportunities. Diana : Of course ! the International BIOTechno Forum is an event designed specifically for young scientists in life sciences as well for companies and institutions from the biotech ecosystem. 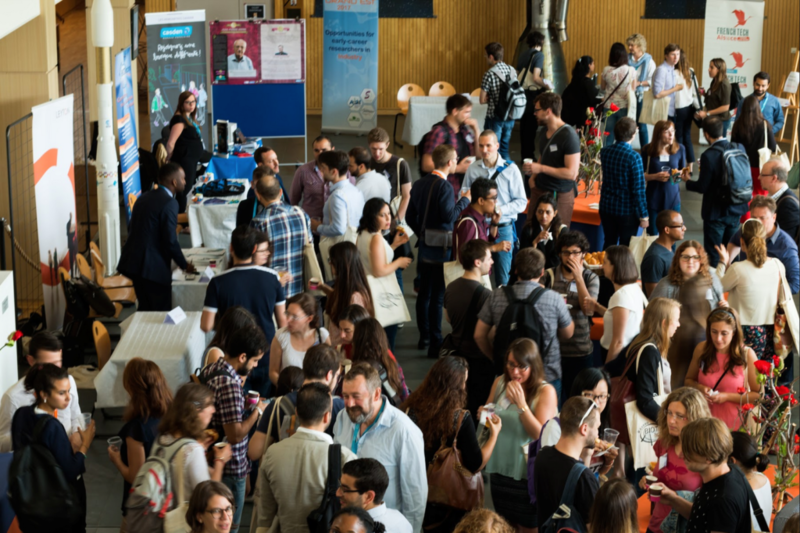 We aim to get together 500 young scientists from all around the world and 200 professionals. This represents an unique opportunity for networking and sharing knowledge. Participants will learn more about the Biotech job market as well the different career opportunities accessibles to PhDs. These highly qualified young professionals will be able to market their skills and talents that innovative biotech companies are seeking. How did you get this crazy idea? Alexia : We have decided to raise this huge challenge over a discussion during the BIOTechno Forum Grand Est 2017. Given the great success of BIOTechno Forum that gathered all those people, we thought that it would be even better to have it at the international level ! 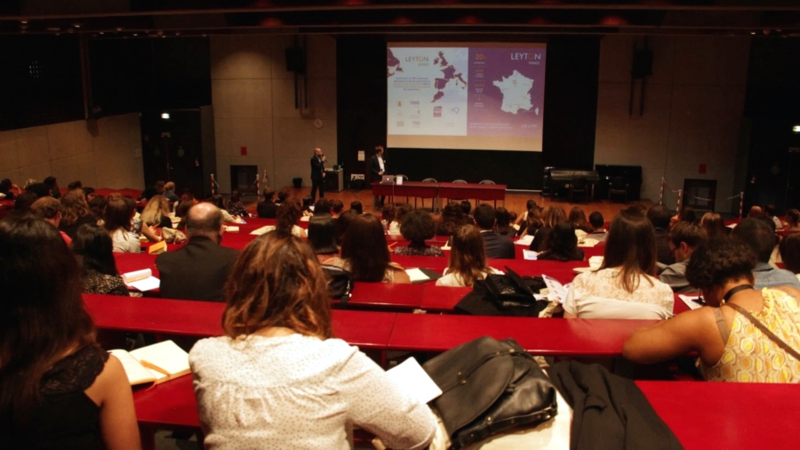 Diana : After the big success of each of the four BIOTechno Forums that have been organised last year in France (gathering more than 700 young scientists and more than 250 professionals, including big and small biotech companies), we thought that we could go international! The challenges that young scientists face when entering the job market outside academia, are similar all around the world. 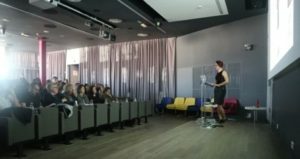 So, both students and companies from other countries can benefit from this event, and contribute to create a wide International BIOTechno Network. What about you, what are you doing? Alexia : I love travelling, I am also playing music and spending time underwater while scubadiving. Oh – you mean in a professional manner? I am in my second year of PhD, with a transversal project in epigenetics between academia and a pharma biotech. Like most of the PhD candidates, I am spending my days wearing gloves, meeting with cells, bacteria, and even sometimes with mice. I am really enjoying the industrial input during my PhD and that is part of the reason why I am taking part to the organization of the BIOTechno International Forum. 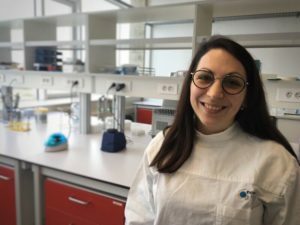 Diana : I recently got my PhD, at the end of 2017. I really enjoyed the challenge of creating knowledge and contributing to a better understanding of a rare genetic disorder that I have studied, hopefully getting one step closer to a therapy for patients. Now, I would like to drive this curiosity towards helping innovative companies, as a consultant. I am sure that we are in a moment in which smart investment in the right technologies can make the world a better place, and I want to be part of that process. In parallel, I keep practicing sports and travelling as often as I can. Who are the “young researchers”, who can come? Alexia : Anyone who wants to learn more about the career perspectives outside academia in Life Sciences. Master students, Engineers, PhD candidates, Post-docs, scientists, the list is long ! Diana : I think Alexia said it all! Most of our participants are PhD candidates and post-docs usually, but Master students, engineers and even accomplished scientists and industry professionals can greatly benefit from this unique networking opportunity. How is it to lead such an event? Alexia : Intense and rich ! Many meetings -thanks to Skype- with our different team members. Daily challenges and long term deadlines are pacing our life. I am really pleased to see a growing interest [from industrials, students as well as institutions] in our event and it constitutes a huge source of energy to tackle every new challenge. Diana : It is a highly rewarding challenge ! 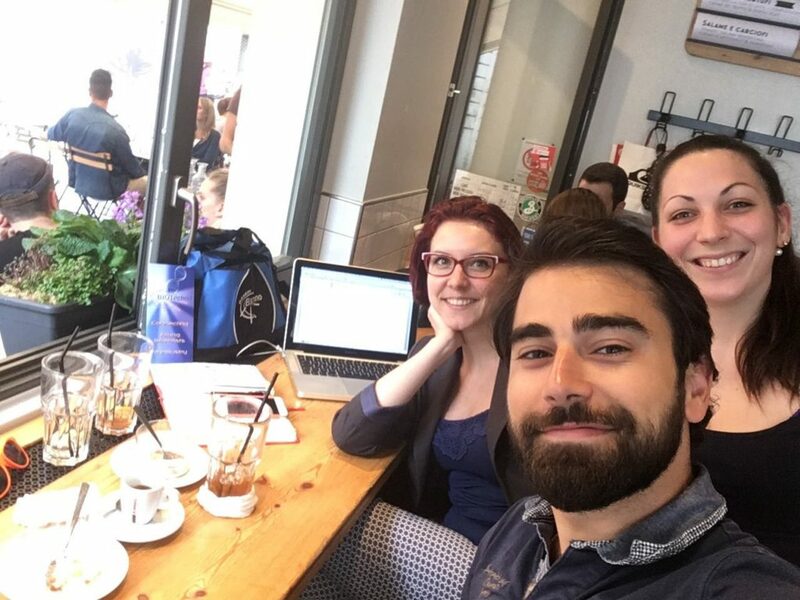 Like all big projects we’re progressing step by step and we do our best to keep the team motivated ! We also try to take into account all the feedbacks from our future partners, and we continuously seek for new partners to join our journey ! Why is it organized in Strasbourg? Alexia : With several european institutions, and a rich trinational biovalley, Strasbourg is seeking for this type of event. I think Strasbourg will constitute a nice crossroad to hold this International BIOTechno forum. Moreover, the participants will have the chance to enjoy the famous Christmas Market during and after the event ! Diana : Well…Alexia said it all ! What do you expect from this Forum? Alexia : We are expecting intense moments of networking between 500 participants and 200 institutional/industrial partners. We are looking forward to welcome high impact speakers with tremendous talks as well as highly skilled industrials who will lead the workshops and roundtable discussions. Diana : We also hope that, by those 3 days, young scientists will have identified their key skills and got enough confidence to jump from academia to industry. Maybe some of them will have even found their dream job during the forum ! And I am sure that our partners would have identified their future highly talented collaborators while sharing their vision and mission with our international audience. Just join us and we’ll all find out !